High-Quality Cleaning Services in Lancaster and Harrisburg, PA! Whether it's cleaning the interior of your home or business to keep it neat and tidy, freshening up your carpets with professional carpet cleaning or removing exterior dirt and grime by power washing, Freshen-Up Cleaning can provide the cleaning services that you need while delivering the quality results that you expect. Our well-trained cleaning associates use proven cleaning techniques that achieve remarkable results for any cleaning service in Lancaster and Harrisburg, PA.
With over 12 years of experience with cleaning services in Lancaster and Harrisburg, PA and surrounding areas, we take pride in doing everything we can to deliver the kind of services that will make you smile! All of our cleaning associates follow a comprehensive checklist called a Scoreboard while cleaning to ensure a consistent clean every time. You will have peace of mind knowing that our cleaning associates are pre-screened and insured. Let us show you how we can make your life easier and your home or business cleaner! Lighten your load, relax and enjoy your home more. We do the work so you don't have to! Need a professional cleaning service in Lancaster County or Harrisburg, PA for your business? dential & commercial carpet cleaning! Professional, reliable services for your home or business. As an independently owned and operated cleaning company, Freshen-Up Cleaning can tailor the services we offer to our individual customer needs. We are also affiliated with Maid Services of America, a national cleaning organization with more than 33 years' experience in the cleaning service industry. They sponsor hundreds of independently owned cleaning services across the United States. As a family-run business, we're not just looking for our next job. We want you to feel confident that you will be treated with the utmost care and respect. We deeply value the relationships we have with our customers and are looking forward to developing a long-term relationship with you. 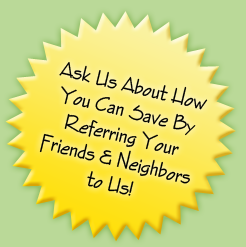 Contact us at (717) 653-1423 for your FREE estimate. Web Design & Hosting by EZMarketing.